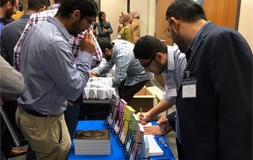 Alhamdolillah American Islamic Outreach attended the 1st GaTech MSA Professional Conference event. 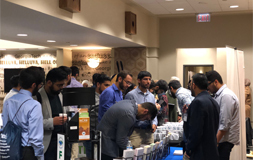 Asif Rafiq, our liaison in GA and his son were there in attendance with a information booth. 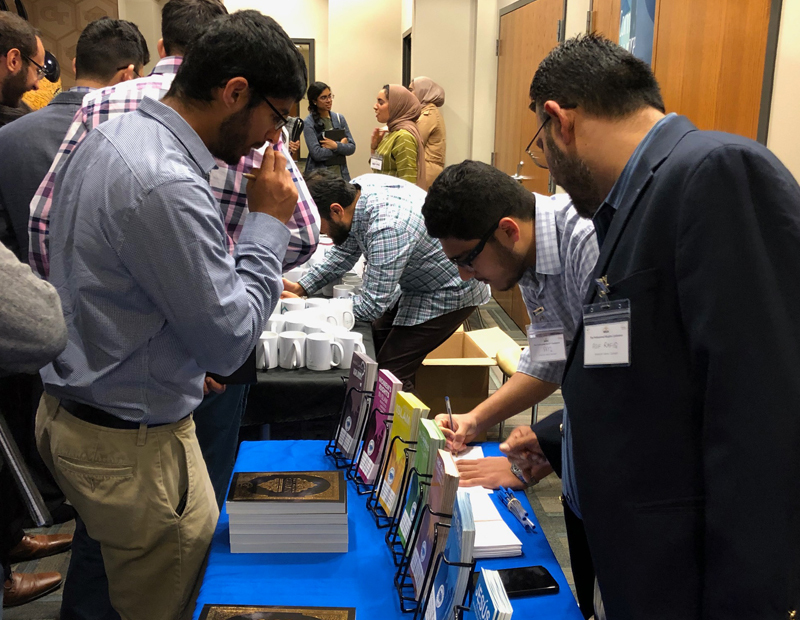 Alhamdolillah it was a great event. It was great to see how many of the students wanted to know more about AIO and different activities that AIO is performing. 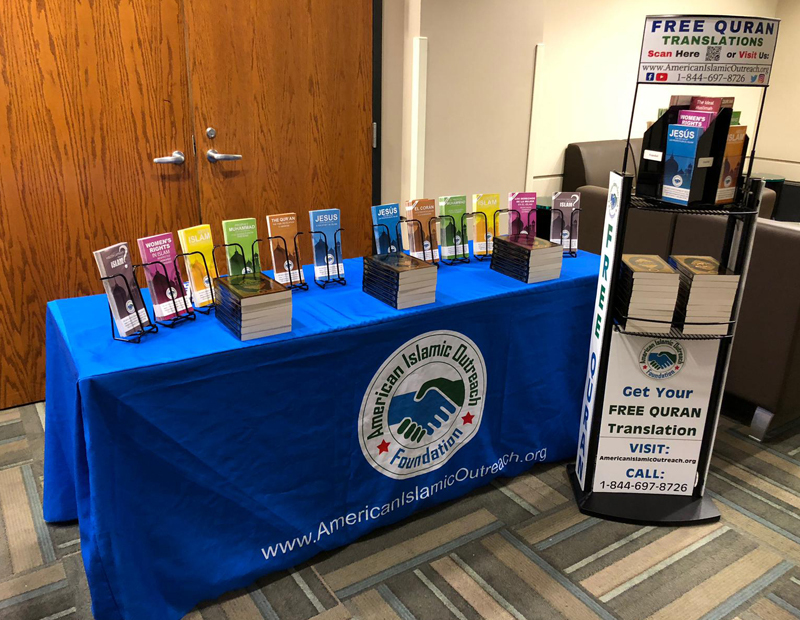 Brother Asif explained the importance of Dawah and the work AIO is doing via installing Quran stands and Quran Mobile. 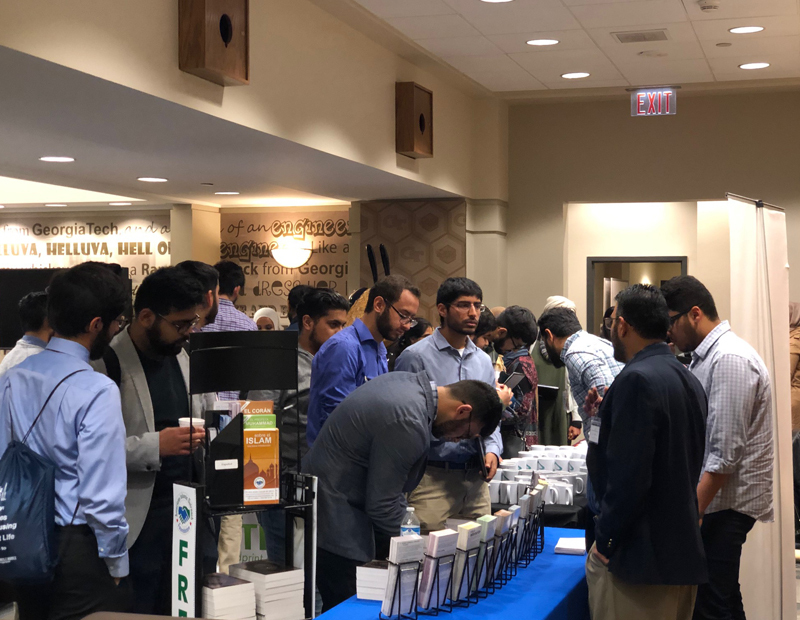 Alhamdolillah a few brothers showed interest for volunteering and getting involved in Dawah work. 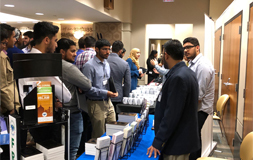 This was a great opportunity for AIOF to educate Students regarding AIOF and Dawah work. 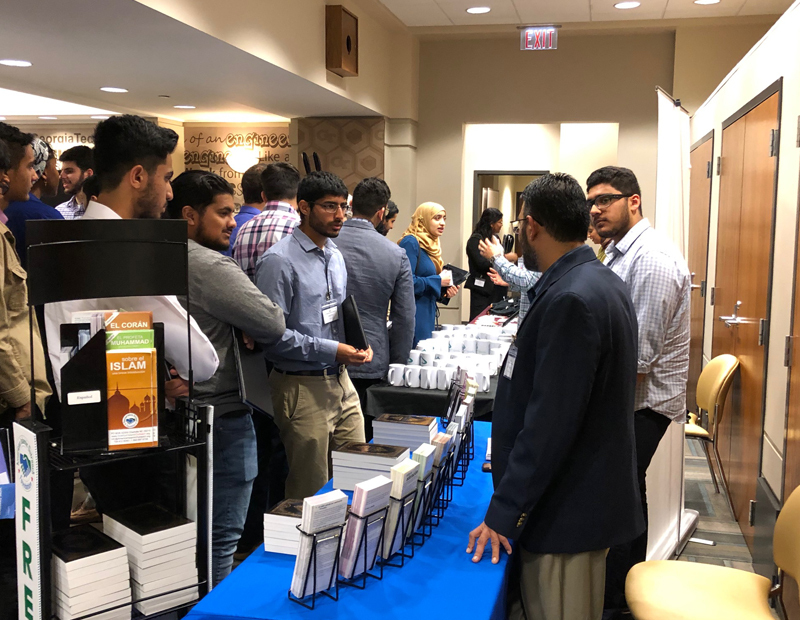 We thank GA Tech MSA for reaching out to us to join in attending the event and we hope to continue a relationship with GA Tech MSA in the near future. 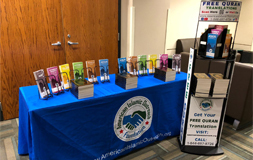 Ask A Muslim Information event. Information Table Wednesday 30th March 2016. Allah's Apostle led the morning prayer in Al-Hudaibiya and it had rained the previous night. When the Prophet (p.b.u.h) had finished the prayer he faced the people and said, "Do you know what your Lord has said?" They replied, "Allah and His Apostle know better." (The Prophet said), "Allah says, 'In this morning some of My worshipers remained as true believers and some became non-believers; he who said that it had rained with the blessing and mercy of Allah is the one who believes in Me and does not believe in star, but he who said it had rained because of such and such (star) is a disbeliever in Me and is a believer in star." Our Lord! Grant us good in this world and good in the hereafter, and save us from the chastisement of the fire. Copyright © 2016 - AmericanIslamicOutreach.org. All Rights Reserved.